We've included listings for companies such as Conklin's and Old Wood Workshop, LLC inside our Hand Hewn Beams guide. Online sales of reclaimed stone and timber such as original and remilled wide plank flooring, custom millwork, remilled cabinet lumber, antique dimensional lumber, antique barn siding, rough sawn beams, hand hewn beams, bricks, pavers and antique limestone. From a start with tearing down old barns and houses, this Virginia company has evolved into a provider of brick and stone, antique yellow pine, barn beams and boards, hand hewn beams and logs, rough-cut oak, chestnut boards and others, in a wide variety of sizes. Also: reclaimed brick and stone. Reclaimed timbers and beams, rough cut or hand hewn, as well as antique lumber and flooring in old oak, pine, douglas fir, and other species. Vintage Timberworks supplies recycled old growth lumber, beams, timbers, and antique flooring reclaimed by dismantling old buildings. 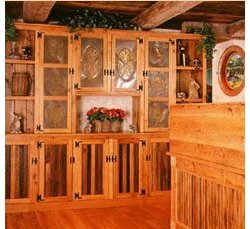 Products include western slope old growth Douglas Fir, Pine, Redwood and Cedar, antique eastern hardwood timbers and barn board planks. Antique chestnut sees the light of day as cabinetry.